I'm a Ham, have been since 2002. If I were to get some FPV gear I'd be the only person I know of at any of the fields I fly at who is licensed to use it. It's not exactly a very easily enforceable set of regulations, and I'm not sure there will be any action on it until it starts causing interference with something important or ticking people off. The FAA's UAS deal was the same thing - model aviation was a pretty well self regulated and mostly let be by the FAA and local governments for a long time. 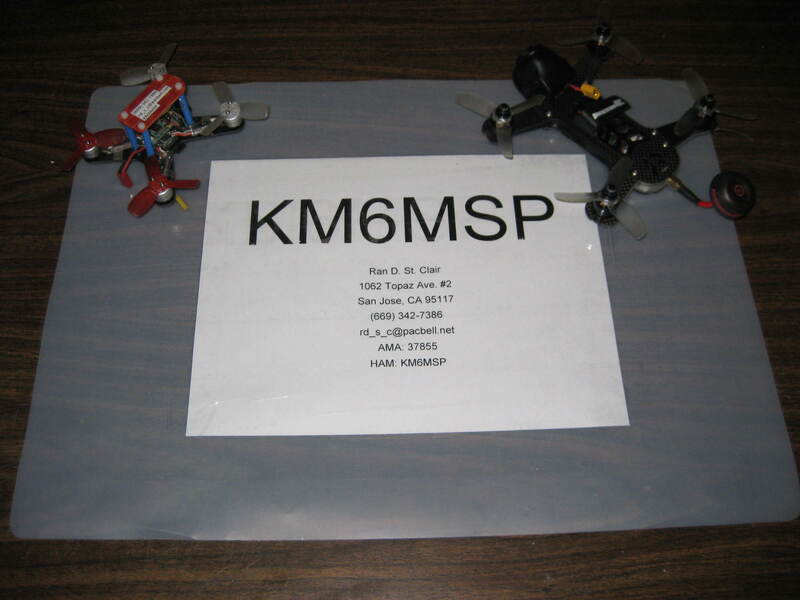 The difficulty and the expense of the hobby kept the ignorant away from it, that's not the case anymore and it created a problem that lawmakers felt the need to address, hence the widespread banning of model aviation from parks across the nation. I could see that happening with FPV. Just 4 days later and I yam a ham. 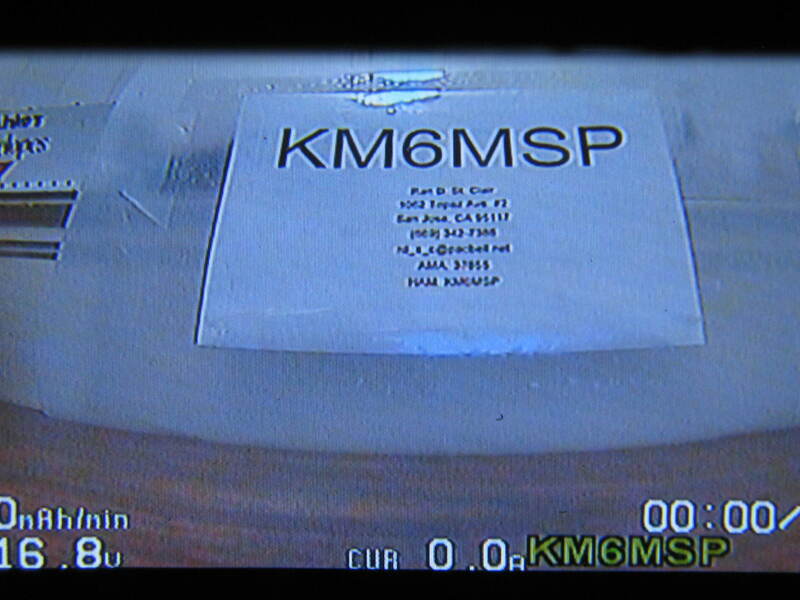 KM6MSP. Way to go, figured it would be easy for you with your background! I did my general upgrade a few years back (few...ha...long enough that I've had to renew my license since!) and barely even studied since I was doing 85% on practice tests. Like you pointed out most of the questions you can pretty quickly eliminate two of the questions and narrow it down to a 50/50 choice - which you can usually figure out fairly easily from there. When I got my original license KA8ZVX - man was that a mouthful, thank goodness for the phonetic alphabet (though Zulu Victor X-ray is a bit of a tongue twister itself)! Not that it mattered much since with that old Novice licence I could only use morse at the time anyway - but a few months later when I got my tech upgrade it sure inspired me to request a new callsign to reflect my higher privileges quick! Sorry, got off track there. Point was when I did that back in the early 80's it took a lot longer after passing the test. No internet back then to check - just had to wait for your results to be sent to the FCC by mail...for the FCC to process them...and then for the FCC to mail your license. I seem to remember it was a little over a month after I passed before I got home and saw the envelope with my callsign for the first time. 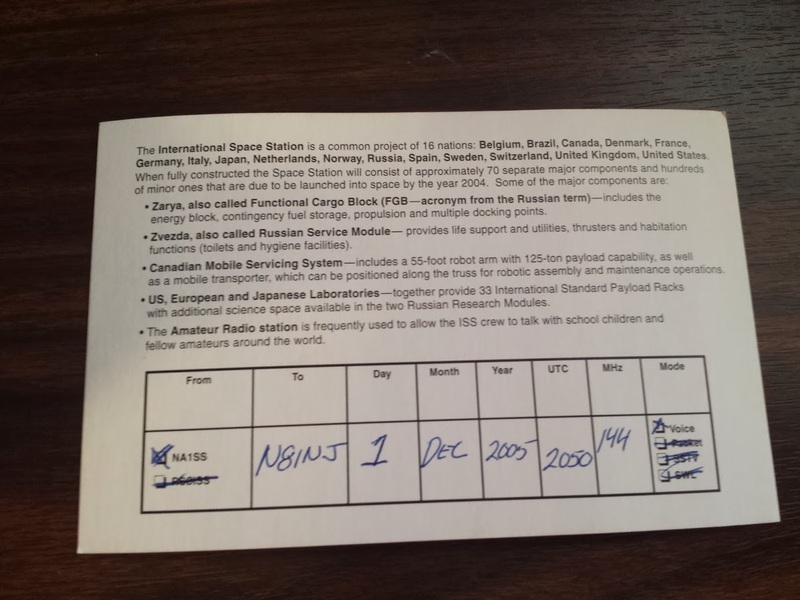 Some of the stuff was basic practice, like grounding, power strips, and safety measures, but knowing space station signals and communications was something that I didn't think would EVER apply to me. Sure, it was kind of interesting, but I'd rather devote my time and money into planes and quads than into radio antennas and transmitters for HAM operation. I remember as a kid my dad letting me stay up late one night because the local radio club was going to setup a relay with someone who had a big antenna with a tracking setup who was going to retransmit a voice transmission from the Space Shuttle as they flew over our area one night. It didn't go great. The retransmission introduced a lot of noise into what was already a pretty poor reception and it was hard to understand much. But it still left an impression on me - hearing people live from space on our own radio not through a TV or broadcast - that was pretty amazing. Didn't get to say much - but man was it a rush to be talking live directly to an actual astronaut while he was in space over me. It's hard to describe but it's a pretty cool experience. 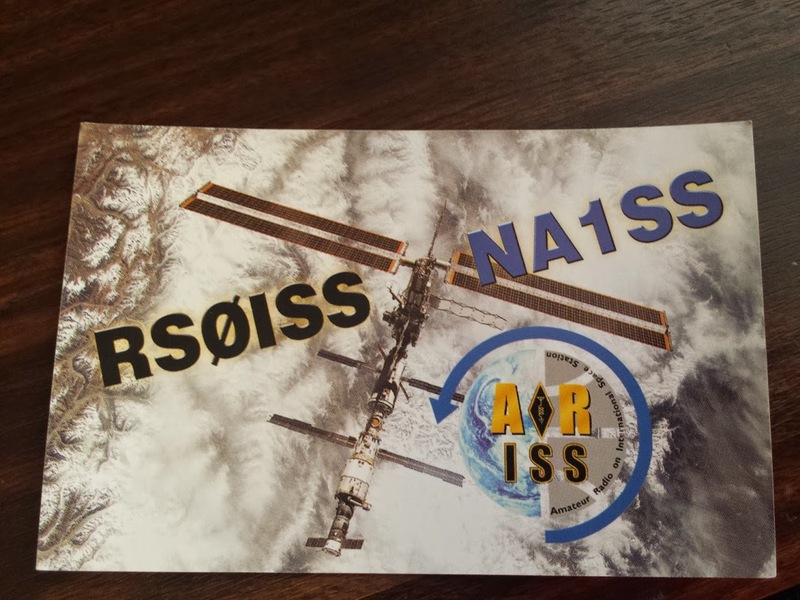 If you've got a license and a radio all you need to do is lookup when the ISS will be overhead and start listening on 145.800 https://www.issfanclub.com/ is a good site for more details and shows reports of when they were last heard. Looks like the last voice contact was heard about 2 weeks ago. I believe I have solved the problem of identifying with my Ham Call Sign. The requirement is to ID every 10 minutes and at the end of the transmission. For the Vortex 150 I found a Camera ID option under the Special menu. Normally it outputs a unique camera serial number but is turned off. I turned it on and then reset the last 6 characters with my call sign, KM6MSP. You can see this continually displayed at the bottom of the screen. My FT Gremlin does not have any sort of Heads Up Display or camera ID that I know of, so in order to solve that problem I made a takeoff mat from a plastic cutting mat. These are readily available at any grocery store as a flexible cutting board. I would normally use it as a takeoff pad to keep the props out of the grass. With the addition of a simple printout which is laminated with clear packing tape it becomes an ID placard. All I have to do is point the camera at it at the end of the flight and I have met the ID requirement. Gremlin flights only last 3 to 5 minutes max so once at the end of the flight is plenty, and possibly at the beginning if I remember. The Gremlin is only outputting 25mW with a range of about 100 ft. so it is highly unlikely that anyone but me would ever see the ID transmission, but the same technique could easily be used with more powerful video transmitters. Even at 650mW the range is so short that it is not much of a practical problem but if you ever want a theoretical solution, one does exist. Beyond that, it can be argued that labeling the video TX is adequate. Accordingly I have labeled both the Gremlin and the Vortex 150 with my call sign and contact information. This is more difficult with the Gremlin due to its small size but you can see the minimum of information in the photo. This idea of labeling the TX is really meant to apply to the TX that provides control signals, not video signals. It could be argued that the video signals are part of the control loop. I think it is an invalid argument, but with such low power and short range the requirement is more theoretical than practical anyway. Having contact information on the aircraft could possibly help you get your equipment back if you ever lost it though. It might also show a certain intent to follow the rules, especially if the person asking doesn't really know the rules.